Orange Nails for the #31DC2016Weekly - Polish Etc. It's the second week of my weekly version of the 31 Day Nail Art Challenge and we are doing some orange nails. Even thought it isn't summer yet,it's still a good time for some neons. I had some a similar manicure like this sometime last year and wanted to try it again but with neon orange. First, I painted my nails with a base of Digital Nails " I See London" which is a perfect creamy white creme. Once that dried, I sponged on a gradient of the same white and Orly "Push the Limit" with the neon orange concentrated at my tips. 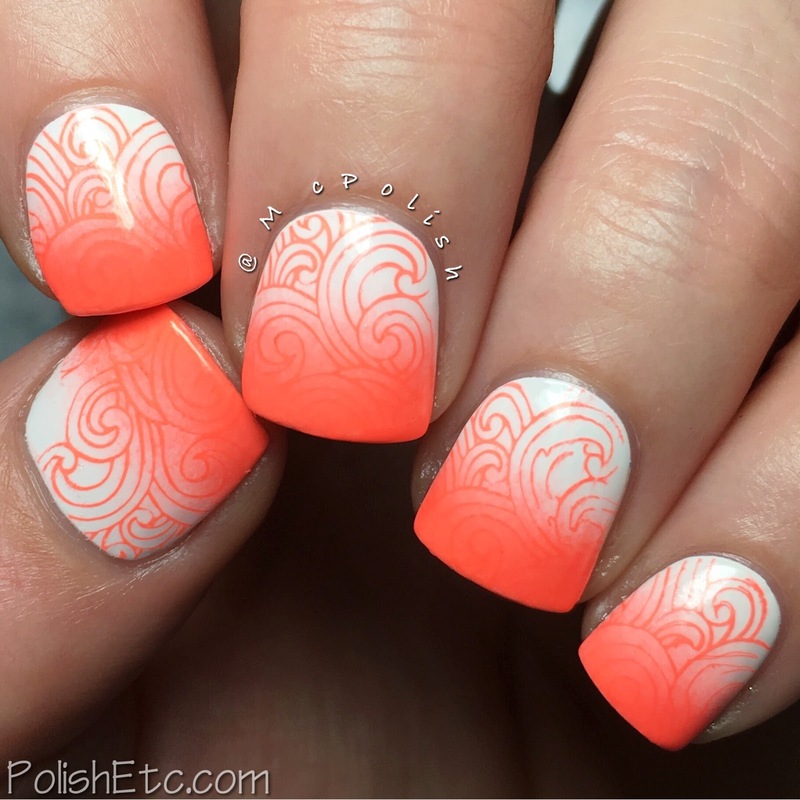 Then, I used the same neon orange to stamp a delicate, flowing pattern coming out of the orange tips. The stamping image is from the Fairy Tale 02 plate from MoYou London. Overall, I am quite happy with this mani! The neon orange is super bright and almost has a coral like hue. It made my camera freak out a little bit. There are a bunch of you doing the weekly challenge! I am having a great time seeing everyone's manicures. 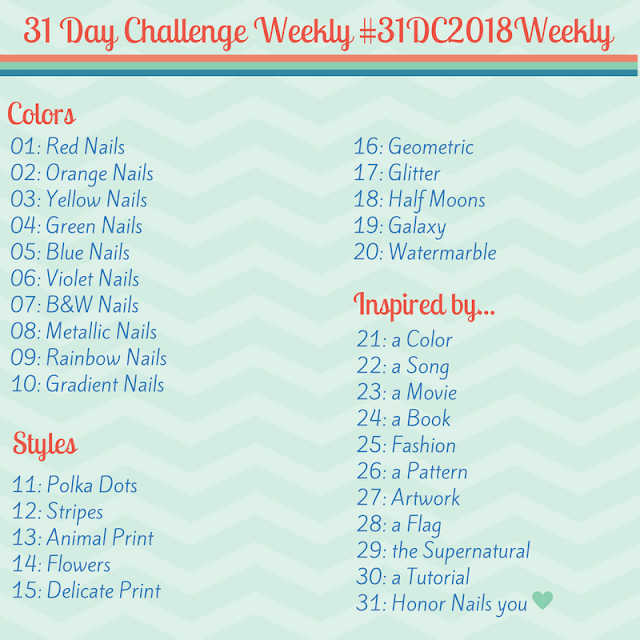 You can check out the tag #31DC2016Weekly on Instagram, Twitter and Facebook to see all of the cool nail art looks, too. Next week, we will have some yellow nails! Care to join me ?